Recognizing values can help teens succeed in relationships, at school, home, and in career planning. When priorities are aligned, teens can also be proactive in decision making. 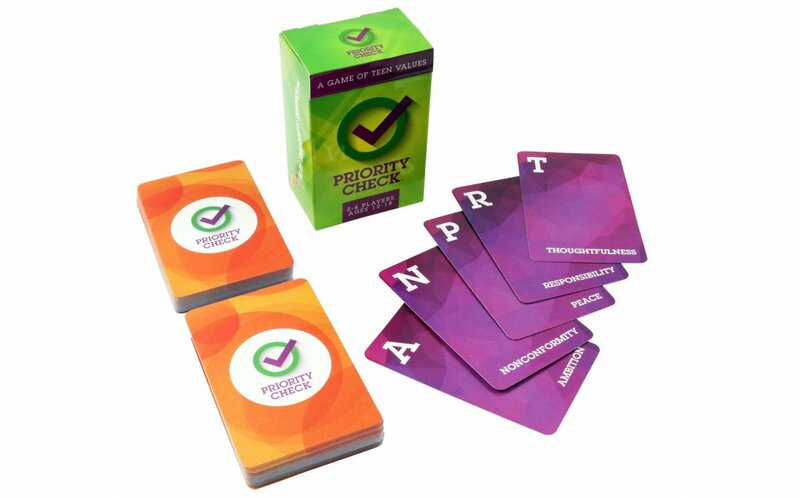 With over 100 priority cards and fun, fast-paced game play, Priority Check will reinforce important values and help teens identify which priorities are most important to them. 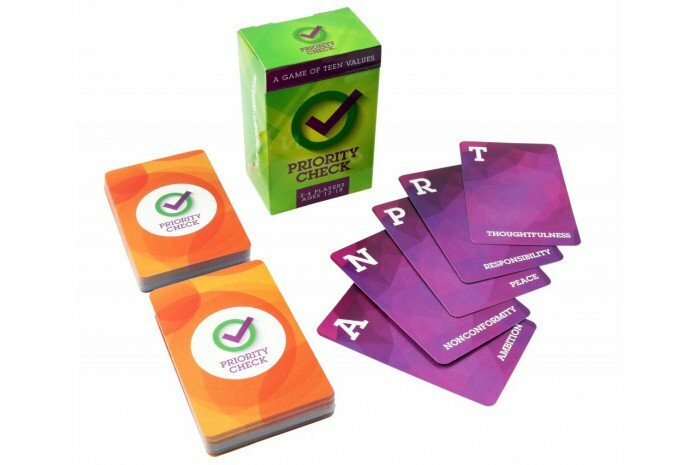 Use these cards to help eliminate distractions in a teen’s life and focus on the values that matter. 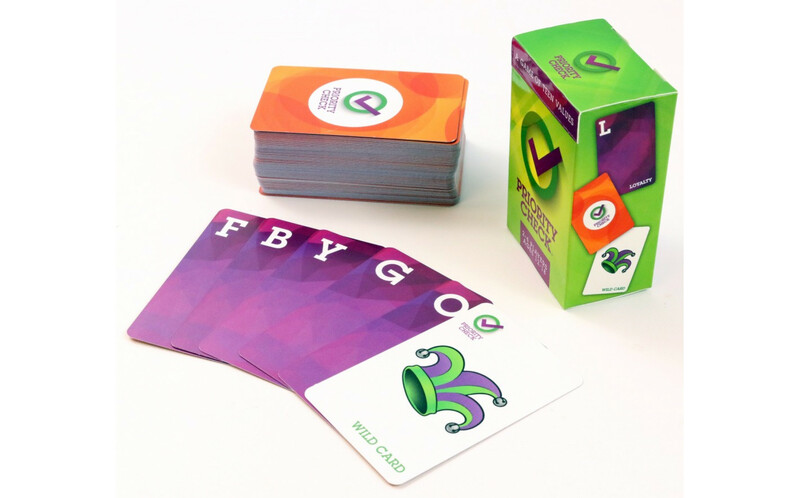 Includes instructions for gameplay and several alternate versions including ideas for playing with a group or family. Can be played in 25-30 minutes. I am a therapist and use it with my teen clients. It's a nice way to delve deeper into their values. Also enjoy using it with younger kids. They may not understand all of the words, but this leads us to some good discussions about what they mean. My teenagers love this game! Very good to see where they are priority and value wise too.